What kind of a holiday would be it without fun and games? Camping Cala Ginepro offers a whole host of opportunities for fun in the sun with friends! For example, you can enjoy yourself along with your friends and family on a pedal boat trip, or indulging in your favourite sport – you can even hire the campsite’s own sport pitch, where you can play five-a-side football, bowls or volleyball. To learn about all of the sporting options, visit the dedicated section! 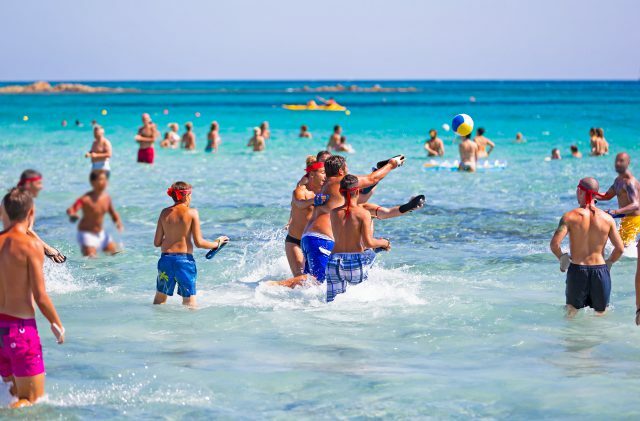 In addition, during the summer, from mid-June to the end of August, the specialist team lays on a whole host of entertainments, with beach games, dancing in the amphitheatre, kids’ dances and mini-club for the youngsters, as well as cabarets shows and tournaments. And let’s not forget the joy of exploring the undersea world. Snorkeling in Cala Ginepro is an experience that is not to be missed! The first article in this section is all about the wonders of snorkeling.